18/05/17 - +4 buttons at pick up! +8 buttons at portfolio! I changed the rule number 5, now you guys can request just one button at time. I made this change due my lack of time and to give more people the chance to request! 13/05/17 - The requests are open again, but limited to 3 forms sent. If I get the 3 "names" at the waiting list filled, I'll close the requests again until I finish all the buttons! before sending your request, please read the rules! 1. Neomails received while the requests are closed will be ignored. I'm sorry! 2. Errors or missing information in the form are your responsibility! But if you send the rectification in time I'll do my best to make it right. 3. 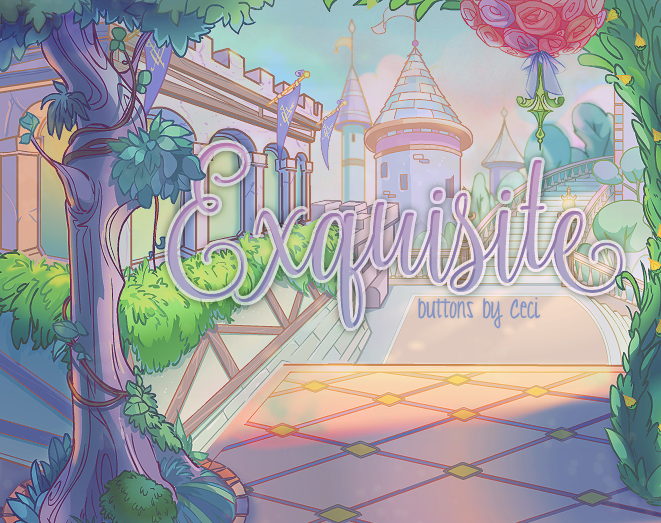 Always credit Exquisite for the buttons, please. 4. The buttons you request here are for personal use, don't repass or provide them in your petpage as a premade or something like that. 5. You can request just one button at time. 6. I won't do your request if it doesn't follow the rules of if it's not suitable for neopets. 7. I'd rather not do buttons for userlookups anymore, just for petpages, so don't insist please. 8. Have fun and always be kind. Thank you for reading till here! Please add "sugar" somewhere in the neomail as proof that you read the rules! Exquisite intends on being quick and simple, so if you do not fill out the "Preferences" item of the request form, I will make your button as I find the best. Although you can check out my portfolio to see all the animations and types of buttons I usually make and choose something you like. important! Please just pick the button you requested! If you don't find it here, check out my portfolio! Want to be an affiliate? Send me a neomail! » Mail icon from Flaticon. » Backgrounds from Mariposa & SWF Files. are trademarks of Neopets, Inc., © 1999-2017.